This was another warm week. It wasn’t a very productive week, I kept worrying about the application from last week and didn’t got any other applications send out this week. On Thursday my boyfriend and I celebrated our 6 year relationship and we went shopping in Leyden and then afterwards went out for dinner at a spanish tapas restaurant. The shopping was fun, although it was a bit too warm. We had a delicious lunch at our favourite lunch place in Leyden the Jacketz, which sell delicious jacketz with toppings. The dinner was less good though, while the location and the restaurant looked nice, the service was bad and the food was just mediocre. And all the food seemed drenched in oil, beside the spinach croquette those where the only yummy thing we ate. We didn’t stay too long and don’t plan on going back there. – Avalanche 2: Super avalanche by Beast Games. With his dad hell-bent on destroying him, Dare’s life hangs in the balance. Fearing the worst, Reagan rushes from Paris to New York, hoping to get to him in time, only to find their entire world collapsing around them. The threat is too real, risk too high, death too possible. Unfair doesn’t even begin to cover it. Two wild hearts that belong together, trapped in a world trying to break them apart. But a love this strong has to survive…doesn’t it? Airwitch Tova Vanaskaya’s choices are few: use her magic to fly an elite aircraft in the Grand Duchy’s army or be shipped to the trenches. But invoking too much magic can kill the wielder, and her Cossack captain has a hell-bent-for-leather streak that pushes her to the brink. It’s a good thing she’s not afraid to push back. 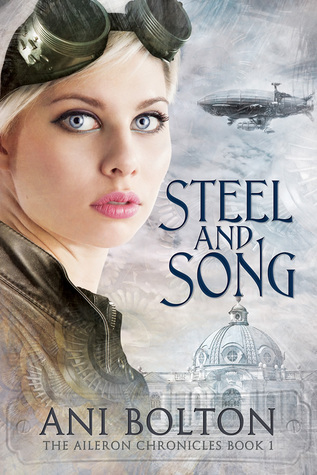 Airship captain Piers Dashkov lost his friends, family ties and self-respect in a rash act years ago, so it’s fine by him if the odds of surviving a dogfight are slim to none. His goal is simple: find redemption through valor and regain his lost honor in death if not life. He needs the smart-mouthed airwitch to achieve that impossible goal, but he never thought she would prove to be his salvation. While the enemy is on the move, and whispers of revolution echo from the salons of the noble Cossack Houses to the tenement slums of Muscovy, one reckless night of passion creates a connection that will reverberate fatally for nations as well as for Tova and Piers. It has been a bit hot around here also but the last couple of days started to cool down. It has been a really weird summer in the US. Yeah the yummy lunch compensated for the dinner! I hope it’s cooling down here soon, normally it’s wamr, but not this wamr, it probably doens’t help our appartment is on the third floor. It has been a weird summer and winter here as well. Indeed fun and frustrating is a good description of Avalanche! Hope you have a great rest of the weekend! Thanks Anna :). My sister can make better spinach croquettes then they had at that restuarant though, they are delicious. Actually I love croquettes, so I am happy it’s possible to make vegatable ones. Congratulations on your anniversary and how nice you spent the day together. Keep enjoying your time together! Steph from fangswandsandfairydust.com recently posted…You Can Kiss Me on a Sunday! Sunday Post! You got three very good looking books this week. They look amazing indeed. Thanks Grace, I can’t wait to read them! Thanks Berls, I am really nervous to hear back from them. Yeah it was a fun day and we could have fun about the dinner, so it was fun even though it’s wasn’t yummy. I already read Wild at Heart and it was my least favourite book in the series. I hope you give the demo a try, it’s such a fun and addictive game. While the dinner was disapointing, it was a fun day, and it wasn’t as bad as last year when my boyfriend got food poisoning. Happy 6 years! I hate when a place I was looking forward to trying disappoints me but now I guess you know not to go back. Glad you didn’t let it ruin your day. 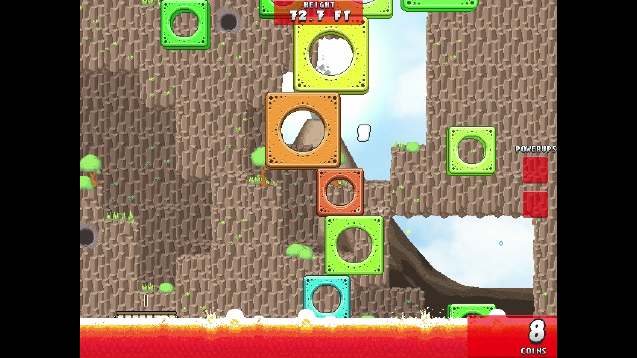 Avalanche looks incredibly addictive! Hope you have a great week! Yeah the restaurant sounded really good and it was a bit disapointing it wasn’t and yeah at least we know not to get back there. It was still a fun day and we even made some fun about the dinner. I hope you give Avalanche a try! Forget Me Not looks interesting and I am glad you had a Happy Anniversary despite the mediocre food. Have a wonderful week, I hope this week is cooler. Yeah I hope it’s as good as it sounds. And even though the food wasn’t good, at least we could make jokes about the bad food and the table that kept wbbling (which we ended up fixing with a carton from the tea bag). Hi Lola, nice to meet you as well :). 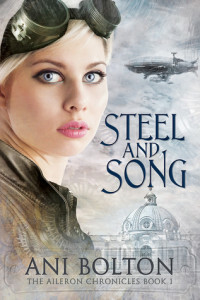 Steel and Song has a gorgeous cover indeed, I can’t wait to read it! And I am still addicted to that Avalanche game, you shoudl give it a try :). Congrats on the 6 year anniversary, that restaurant sounded yummy and sounds like you had a great celebration! Have a lovely week hun! Jeann @ Happy Indulgence recently posted…Weâre looking for co-bloggers/reviewers! Congratulations on your 6th year together, Lola! That’s something 🙂 It sounds like you had a really fun date. Now spanish tapas sound so good right now! I am not much of a gamer, but I do play games until I get sick of them. My iPad is filled with game apps that I used to play with a lot! 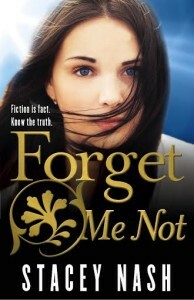 Dre @ Sporadic Reads recently posted…Sporadic Talks #004 : Should We Judge A Book By Its Cover? Thanks Dre :). I hope we still get to try Spanish Tapas at a good restaurant once. I play some games on my ipad as well, usually in the mornings during breakfast.